Waymo’s driverless ride-hailing service, a world’s first, and its partnership with FCA is going strong. In 2016, the automaker supplied 100 Chrysler Pacifica Hybrid minivans to the company and upped the ante to 500 in 2017. For 2018, the number of supplied Chrysler Pacifica Hybrid minivans will register in the thousands. This year in Phoenix, Waymo plans to launch its service. “The additional Pacifica Hybrid minivans will be used to support Waymo as it expands its service to more cities across the United States. Waymo has officially tested its technology in 25 cities across the U.S., including Atlanta, San Francisco, Metro Detroit, Phoenix and Kirkland, Washington,” reports FCA. The 2018 Chrysler Pacifica Hybrid is engineered on a new platform and features a versatile cabin, enhanced infotainment technologies, and advanced security and safety technologies. It is available in three trims: Hybrid Touring Plus, Hybrid Touring L, and Hybrid Limited. Each trim is powered by a 3.6-liter V6 hybrid engine, which is mated to an eFlite Si-EVT transmission. 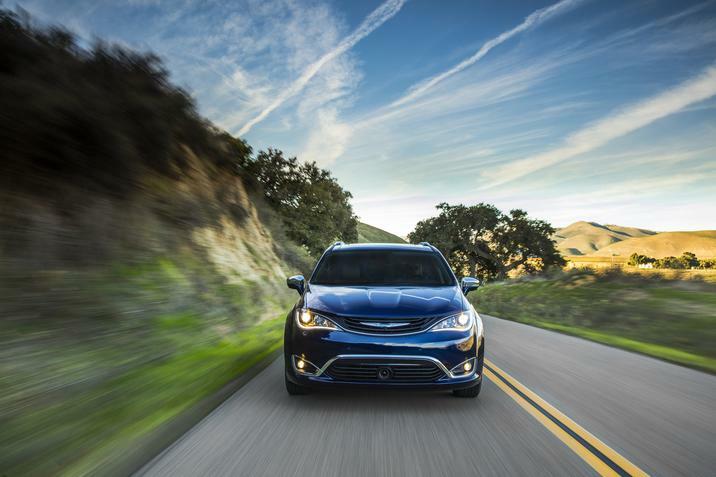 The Pacifica Hybrid earns a rating of 84 MPGe combined. The easy entry slide second row seating, third-row fold-in-floor 60/40 bench, and power sliding doors means easy access and versatile seating and cargo options for families. Safety is a huge priority in the 2018 Chrysler Pacifica Hybrid, too, as it features advanced multistage front airbags, driver and front passenger inflatable knee-bolster airbag, supplemental side-curtain airbags in all rows, supplemental side-curtain airbags in all rows, a pedestrian warning speaker, LATCH ready child seat anchor system, sliding door alert warning, and a ParkView® rear back up camera as standard features.